Today is my last day of class before Easter! I am so excited to have a few days off to get some work done! And of course, get some baking done for Easter! I really love this time of year pastels and fresh blooms! But I also love the tradition I am so excited to be attempting to make madeleine cookies and a naked cake! Yes naked cake, search it on Pinterest it is so creative and amazing! Can not wait! 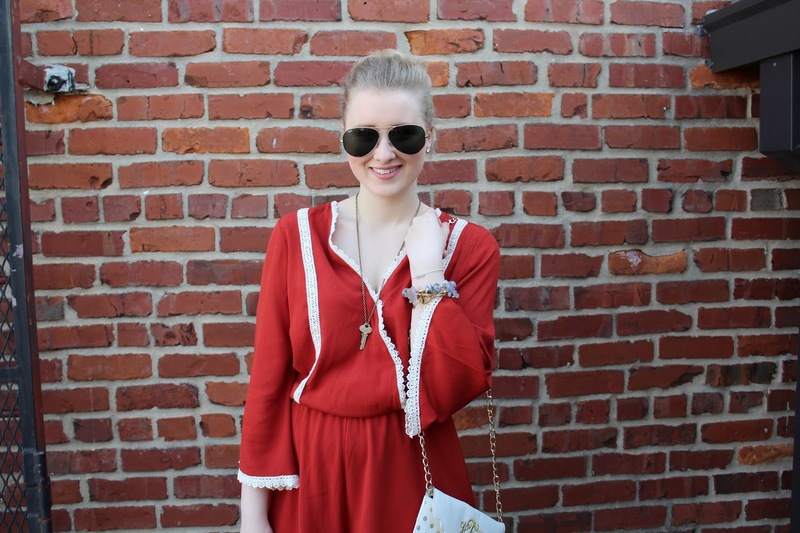 As for this romper, it is my favorite thing on this planet! I always have had trouble when it comes to rompers. Usually, they don’t fit me right and or complement me. But this one is literally perfection and so perfect for spring and summer! Can we talk about a serious transition piece? 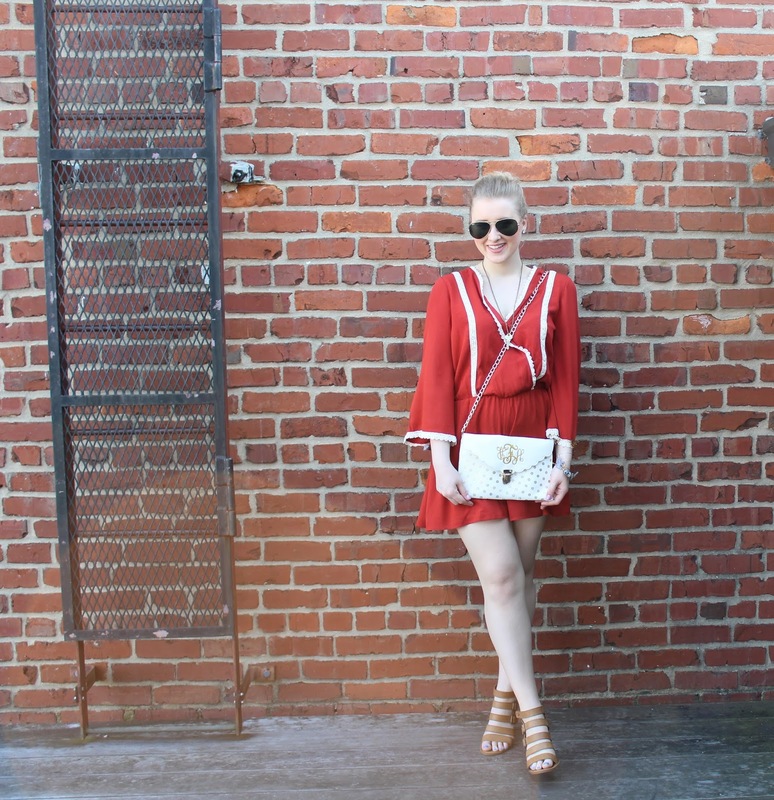 I am so sad however because this is my last charleston post! I seriously loved my time in charleston! The beauty and the history it is so wonderful and I feel so blessed I had the opportunity to go! Next Post My spring shoe picks! Literally ONE of my favorite outfits on you!! The color, the fit, the purse, the shoes, you are a DOLL!! Come link up this goodness with our style perspectives today!! I appreciate your background choice. It perfectly combines with your wonderful dress.